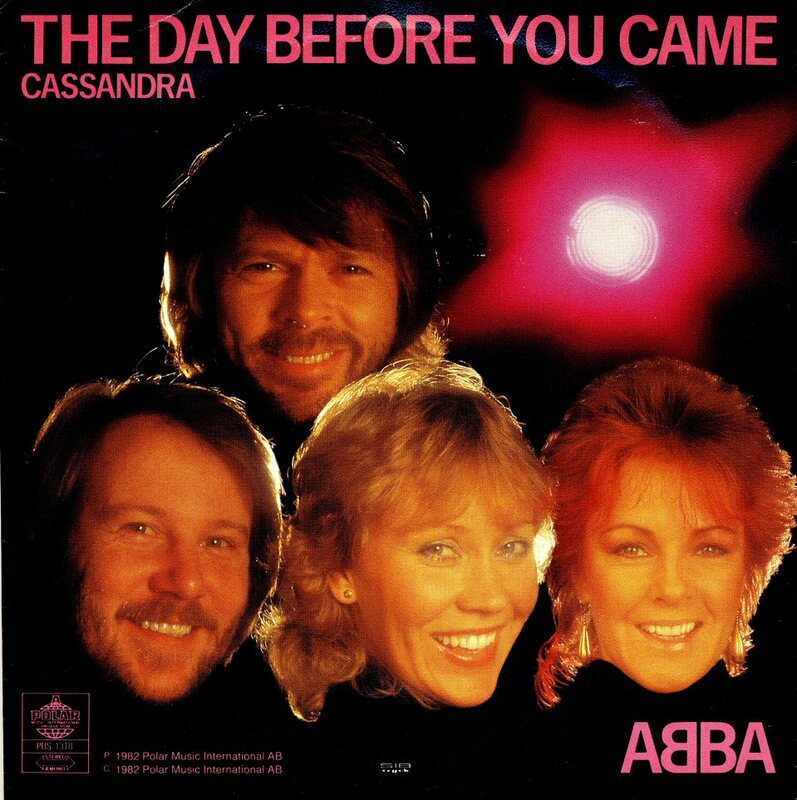 "The Day Before You Came" was ABBA's 31st single, released in October 1982. It was the first single from the forthcoming double album The Singles, The First Ten Years. 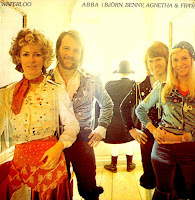 This track was different from all of the group's other singles, in that it was nearly 6 minutes long, featured no chorus (a staple of all of the big ABBA hits) and only seemed to feature Agnetha's vocals. In truth, it was the last song that the group ever recorded. The song was reportedly created in the studio over two days. All four ABBA members did contribute musically. Frida and Björn's backing vocals are there if you listen, Benny's synthesizers take center stage as the sole source of the backing track (except for a snare drum which was added later) and Frida supplies a breathtaking operatic solo during the instrumental breaks. Lyrically, "The Day Before You Came" didn't break any new group for the group like "The Winner Takes It All" or "The Visitors." The song dealt with a woman reflecting on the routine and dull life she lived before meeting a lover. 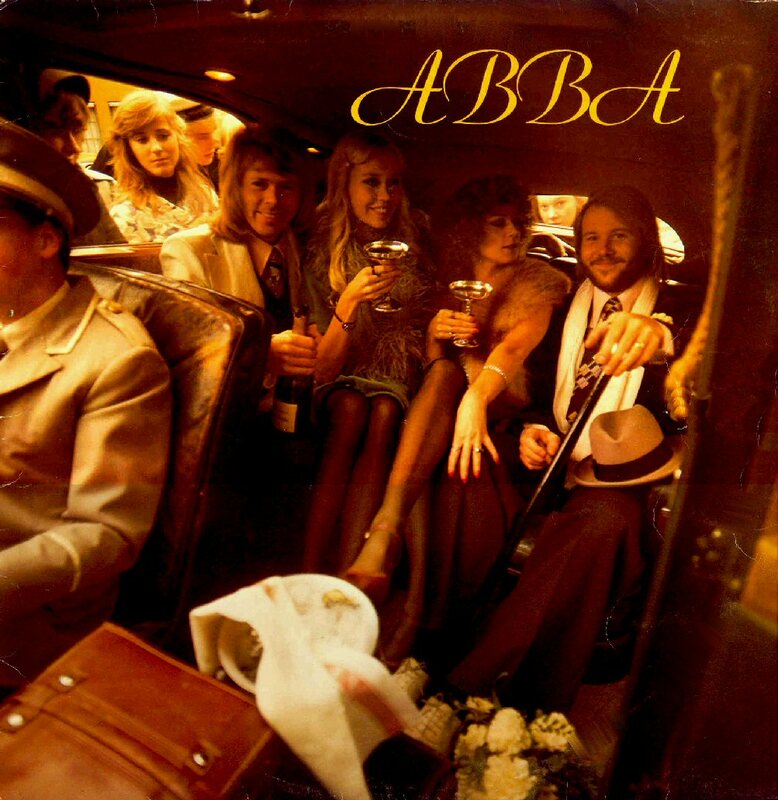 The unusual musical structure of this song, coupled with it's length and lack of the typical sing-along, hook-laden ABBA chorus all hurt its performance on the charts of the world. It's also important to note that musical tastes were changing with the emergence of groups like Duran Duran from Britain and Michael Jackson's new Thriller album from the US. 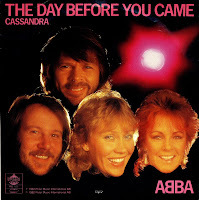 With "The Day Before You Came," ABBA (all now well into their 30's) seemed out of touch with the pop music scene. Still, Northern European countries did make the song a top 10 hit. Looking back, it was clear that the group was nearing the end of their wildly successful run. In November, 1982, ABBA made one of their very last television appearances performing "The Day Before You Came" (plus "Cassandra" and "Under Attack") on Germany's Show Express. It is arguably one of their most dramatic performances in front of the cameras. The pressure was beginning to really build for Björn and Benny to come up with material when work began on the group's fifth album in 1977. ABBA was now topping the singles charts on a regular basis, and Arrival had proven their worth on the album charts. Musically, they had taken a major step forward during the past year. The progression would continue on ABBA-The Album. 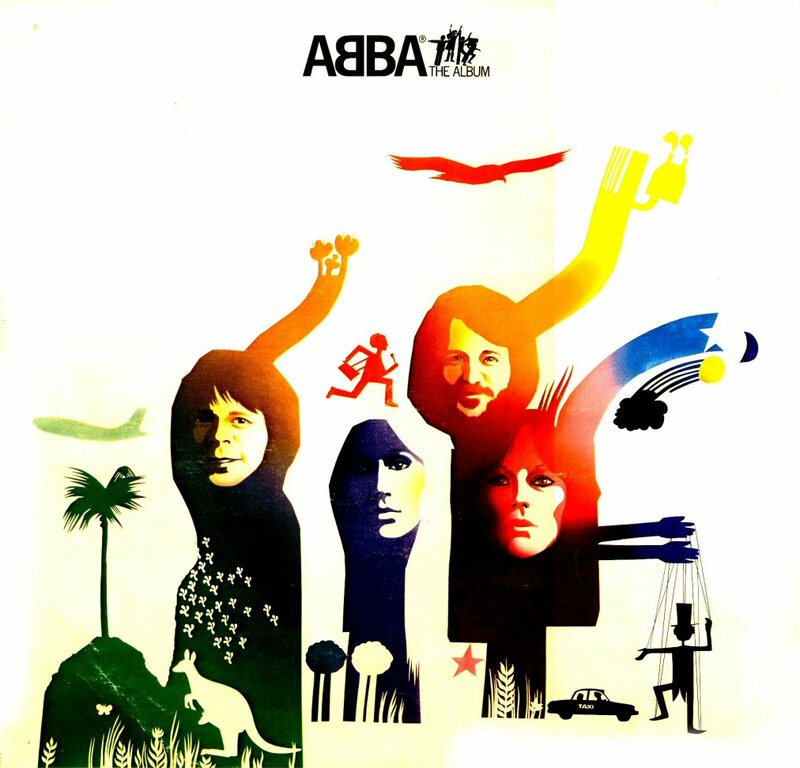 The wonderfully complex "The Name Of The Game" was one of the first tracks recorded, and it is a perfect example of the progression of the ABBA sound that was taking place at the time. The tracks here were quite polished, not oony from a production standpoint but lyrically as well. There were no silly "Tiger" or "When I Kissed The Teacher" type songs here. "Eagle," the opening track of the album, clocks in at nearly six minutes long. It's multilayered, rich sound showcased not only the quartet's talents, but the talents of their musicians and engineers as well. "One Man, One Woman" and "I Wonder (Departure)," both with Frida on lead vocals, were incredibly mature. 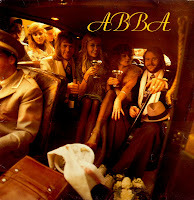 ABBA even showed a hint of bitterness and exhaustion on the album's closer" "I'm A Marionette," a dark number from the so-called mini-musical featured on their recent tour of Europe and Australia. But things weren't all somber and heavy here. The international smash "Take A Chance On Me" and the rock-n-roll tribute "Hole In Your Soul" (featuring an impressive vocal crescendo by Agnetha) showed that ABBA was still fun. But they were certainly more grown up. The philosophical, latin flavored "Move On" demonstrated that. ABBA had gotten to the point where they proved that their music was more important than the flashy costumes. "Thank You For The Music," another number from the mini-musical, was closer to Gilbert and Sullivan than pop, but the point could certainly be taken. By the end of 1976, ABBA had scored a string of international smash singles with "SOS," "Mamma Mia," "Fernando" and "Dancing Queen." They had also finally broken into the album charts. Ironically, the first hit album from ABBA was a greatest hits collection filled with singles. The ABBA-hungry world was ready for a brand new album. When Arrival hit stores in November that year, it was a blockbuster. 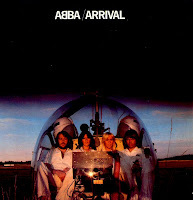 The title was very appropriate: ABBA had indeed arrived with their first genuinely brilliant album. The sound on this album was sophisticated, clever and engaging. There are so many layers to it, so much packed into the sound, that even after a dozen plays, Arrival could still yield surprises to an alert listener. It took nearly eighteen months to write and record all of the material on this album. And it showed. "Dancing Queen" easily became the biggest hit of their career. The next two singles were not as massive, but were still solid hits. "Money, Money, Money" was pop magic. "Knowing Me, Knowing You" showed that ABBA could show emotion and create a mood with their lyrics. The break-up theme of this song was brilliant, and it was one that ABBA visited over and over again for the remainder of their career. The women's vocals are top notch here, particularly Frida, who sings lead on "Knowing Me, Knowing You." Björn sang lead on only one song. But this time, it worked. The raunchy "Why Did It Have To Be Me" was fun and engaging. "That's Me" (which Agnetha chose as her favorite number from Arrival-perhaps explaining its selection as the b-side of the "Dancing Queen" single) had a rhythmic feel like no ABBA song so far. The only weak spots were "When I Kissed The Teacher," "Dum Dum Diddle" and "Tiger." But despite their weaknesses lyrically, these tracks all work because of the vocals and production. ABBA had stumbled onto a winning formula. They had the world's ear. From there, it only got better. By the time ABBA was released in 1975, the group was on their way to becoming a truly international phenomenon. Although the first two singles from the album (the glam-rock "So Long" and the '50s era flavored "I Do, I Do, I Do, I Do, I Do") failed to be commercially successful, they showed a new ABBA. More polished, more energetic. Most telling is the fact that Björn's lead vocal duties had been reduced from half of the album to only three of the eleven songs. On the ABBA album, the women finally (and rightfully) took center stage. The result was an album that spawned two bonafide international hit singles ("SOS" and "Mamma Mia"). These two tracks were arguably the best things that the quartet had released to date. But there were more highlights on the album. Frida's warm, deep voice was given the perfect showcase on "Tropical Loveland," while Agnetha's innocent, high pitched vocals are perfect on "I've Been Waiting For You." After his distasterous lead vocal on Waterloo's "Suzy-Hang-Around," Benny showed his true power on the progressive rock instrumental "Intermezzo No. 1." As an album, ABBA was much stronger than either Waterloo or Ring Ring, but it was still not what you could call a cohesive collection of songs. With so many different styles (glam rock, reggae, pop, progressive rock, ballads and '50s bandstand), it was hard to tell exactly who ABBA was. They were still finding their style. A year makes a big difference, and the Waterloo album proves that. A much more cohesive effort than 1973's Ring Ring, 1974's Waterloo featured a good number of classics, instead of a precious few. 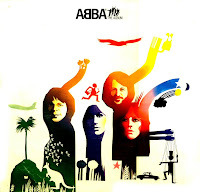 "Waterloo" and "Honey Honey" were hit singles, while "Hasta Mañana," "Dance (While The Music Still Goes On," "Gonna Sing You My Lovesong" and "What About Livingstone" demonstrated that ABBA was becoming masters of the pop genre. But, as brilliant as all of the aforementioned tracks were, there were still some failures here. "King Kong Song," "Sitting In The Palmtree" and "Suzy-Hang-Around" did nothing to advance the cause of taking the group seriously. "My Mama Said" is a good attempt at funk, while "Watch Out" showcased the rock side of ABBA. But still, one thing became clear: ABBA could do pop, and do it well. Critics in Europe gave Waterloo a luke-warm reception, but in America, critics compared ABBA to the innocent girl-group sound of the previous decade. The second album was clearly a step in the right direction.